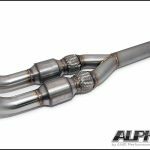 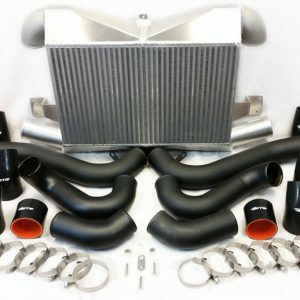 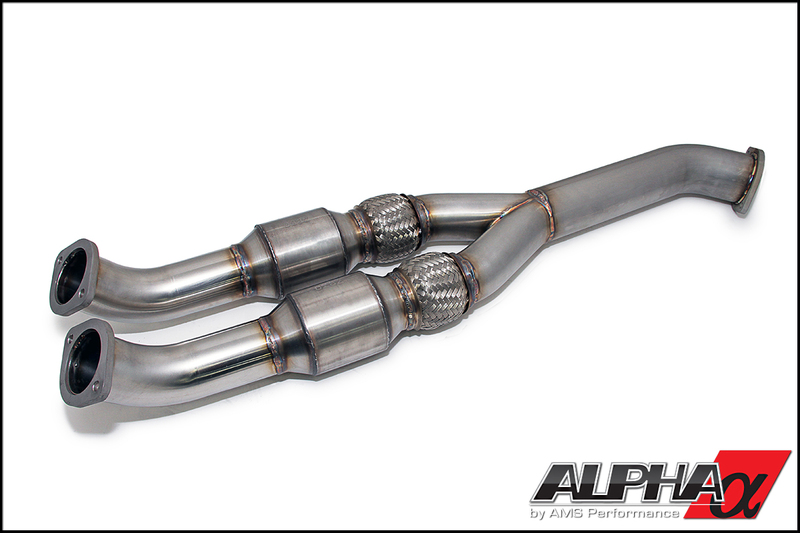 The Alpha R35 GT-R 90mm Catted Midpipe is one of the largest midpipes available on the market. 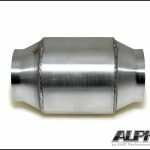 Where most systems implement two 76mm (3”) pipes that merge into a single 76mm (3”) primary pipe, we offer a larger 90mm (3.5”) primary pipe to optimize exhaust gas flow. 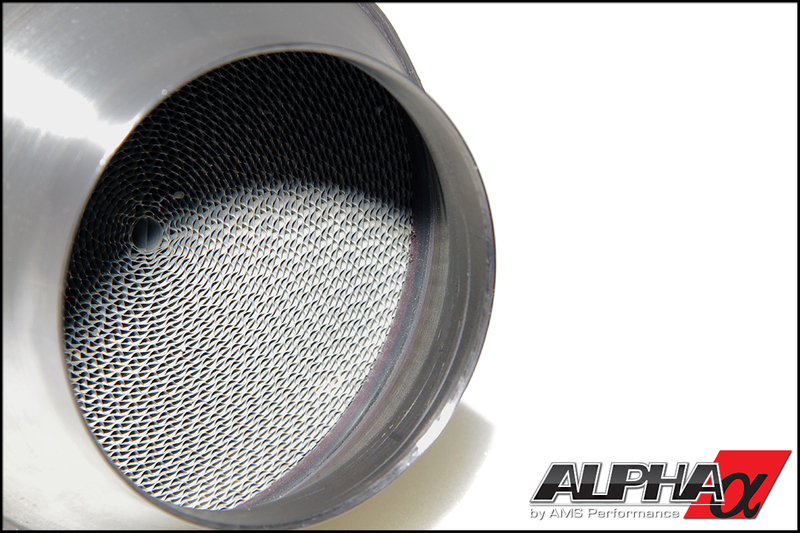 This reduces turbulence and unwanted backpressure – freeing up horsepower and improving turbo response. 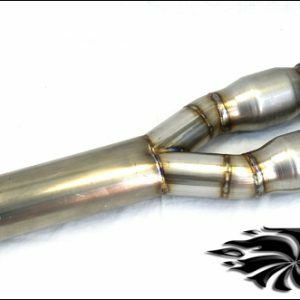 EPA Certified high output catalytic converters for use on OBDII vehicles (1996 and newer) – Certified in 49 states! 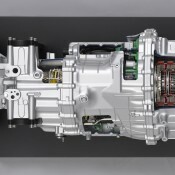 Fits all USDM Models, European and JDM models. 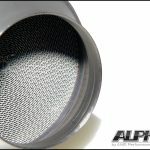 EMISSIONS STATEMENT: Federal and many state laws prohibit the removal, modification or rendering inoperative any part that affects emissions on motor vehicles used on public streets or highways. 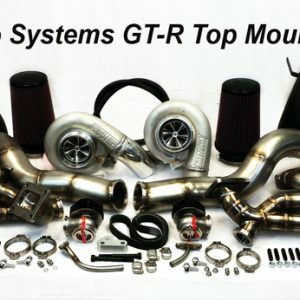 Many Automotosports parts are designated for track use or off-road use only. Installation of certain components may bring the vehicle out of compliance with safety and/or emissions standards. 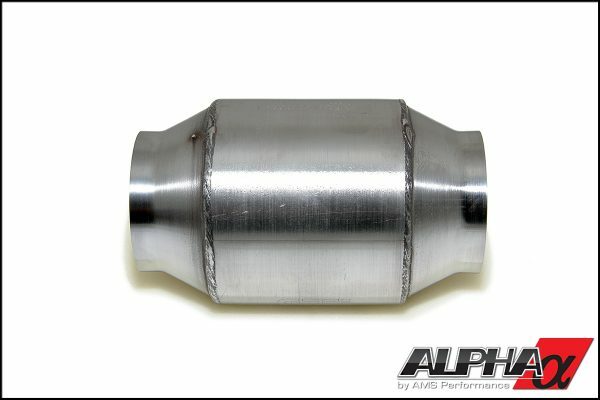 Automotosports recommends that vehicles with parts designated in this fashion not be operated on public roads. Automotosports customers are responsible for complying with applicable state and local environmental regulations.